…well we have to get through Autumn first Jon Snow but you’re not wrong! Autumn and Winter are my favourite of the seasons by a country mile, partly because I cannot cope when the weather is too warm! Don’t get me wrong, I enjoy holidays in the sun, but they are a different kind of sun to what we get here in the UK. Already the days are getting shorter and the temperature a lot cooler and summer feels like a distant memory. I can’t wait for hot chocolates, long winter walks and all of the festivities that are to come. I think that’s what makes Autumn/Winter so special – the amount of holidays there are! There’s Halloween, Bonfire night, Christmas and if you’re American, Thanksgiving too. Halloween is also the day before my birthday so that always used to add to the excitement surrounding my birthday so I’m a huge fan of Halloween! 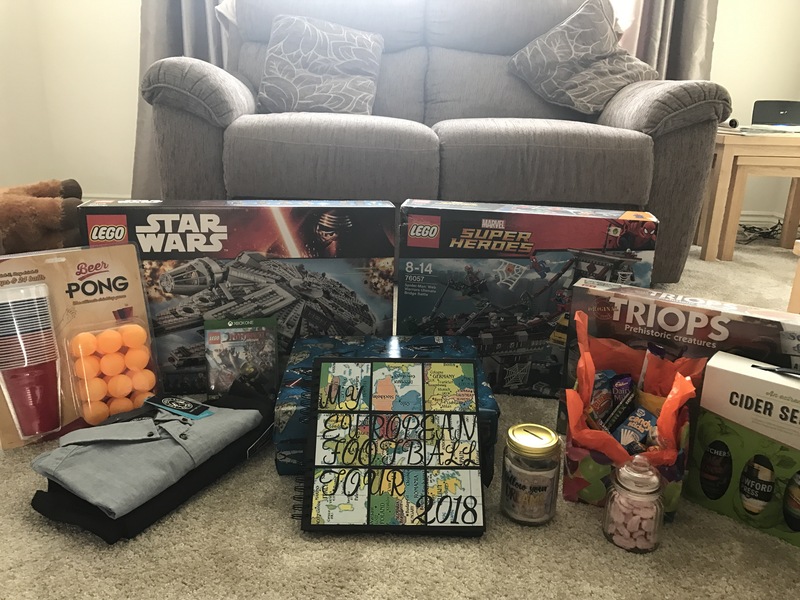 I’m a bit too old to go trick or treating nowadays, but I’m still planning on playing lots of Halloween themed games with my sister and watching scary movies! I always tend to have a holiday booked around Christmas time as well, this year it’s Disneyland Paris and I’m super excited for it this time around! The films are so much better in Autumn/Winter as well! Yes you get your Summer blockbuster movies at the cinema but for me you just don’t have those staple films that get you excited for Summer. In Winter you obviously have all of the Christmas classics, Elf, Love Actually to name a few and that’s why for me it’s such an exciting season. Now I know Autumn/Winter isnt perfect, I’ve already noticed a mass increase of spiders and moths creeping into the house and I’ve definitely taken for granted not having to defrost the car the past couple of weeks! But for me Autumn and Winter are definitely the best seasons of the year! Are you a Summer lover or a Winter wonderer? Let me know in the comments! 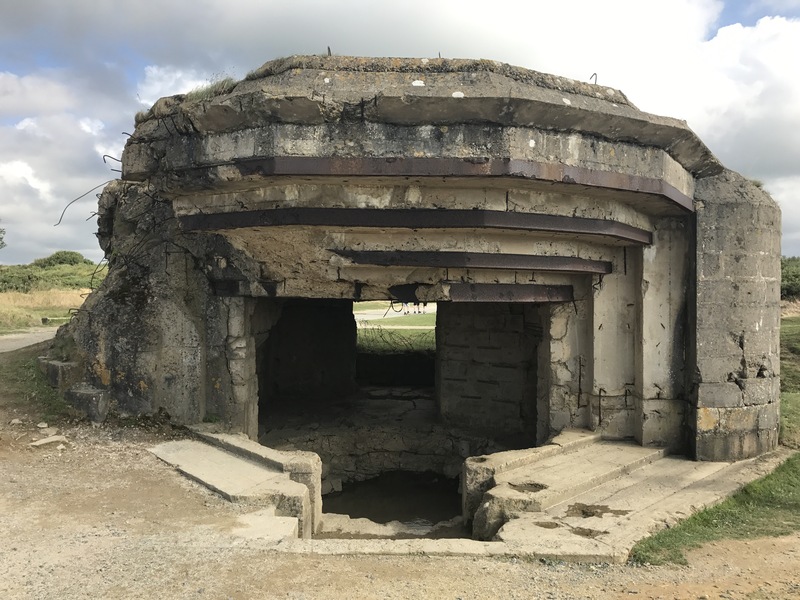 One of the best war sites to visit in Normandy is Pointe Du Hoc, located about 45 minutes away from the coastal town of Arromanches which we were staying in. Pointe Du Hoc is a lookout, which was used by German forces during the D-Day landings and now comprises of remaining part-destroyed turrets and bunkers. Pointe Du Hoc was initially the intended location for the opening beach-storming sequence to Saving Private Ryan, however they opted for Omaha beach instead. There is so much to explore at Pointe Du Hoc, from the giant craters which have scarred the landscape to the numerous bunkers dotted around. Some of the bunkers are amazingly still well intact and can be explored – just remember to take a torch! There is a nice memorial as well located on the very edge of one of the cliffs which really does looking striking, backing onto the sea behind it. It’s not only World War 2 history which Normandy has in abundance, Bayeux is home to one of the oldest (and possibly longest?!) stories in the world! 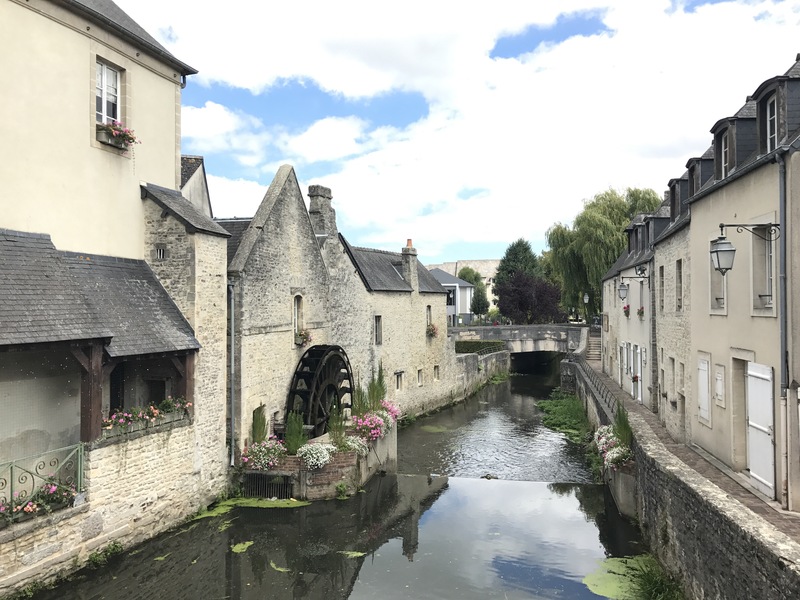 Bayeux is of course home to the famous Bayeux tapestry, an embroidered cloth nearly 70 metres long, depicting the events leading up to the Norman conquest of England and the Battle of Hastings. This was something I definitely wanted to see whilst I had the opportunity and it was a fantastic experience. You get given headphones to listen to as you walk around the tapestry, and honestly, the story is so immersive! The tapestry itself is magnificent and is in pristine condition considering how old it is! Sadly you aren’t allowed to take pictures of the Bayeux tapestry, as the flashes could hasten degradation of the cloth. Bayeux itself is a beautiful city with a lot of history, evident in the magnificent cathedral, watermills and old cobbled streets. It was lovely sitting out in the sun enjoying a beer watching the day go by without a care in the world. Normandy has so much more to offer than just cider and cheese, and as you can tell, you’ll come back well educated! Have you visited Normandy before? Let me know in the comments!